MINNEAPOLIS, Minnesota -- Paisley Park, the private estate and studio complex of the late rock superstar Prince, will open for daily public tours starting Oct. 6, the trust company overseeing his estate announced Wednesday, and the company that runs Elvis Presley's Graceland will manage it. Bremer Trust said in a statement that millions of Prince fans will get the chance to tour the 65,000-square-foot complex in the Minneapolis suburb of Chanhassen, where Prince collapsed in an elevator and died of an accidental overdose of the painkiller fentanyl in April. "Opening Paisley Park is something that Prince always wanted to do and was actively working on," Prince's sister, Tyka Nelson, said in the statement. "Only a few hundred people have had the rare opportunity to tour the estate during his lifetime. Now, fans from around the world will be able to experience Prince's world for the first time as we open the doors to this incredible place." The tours will be run by Graceland Holdings, which has overseen Graceland in Memphis, Tennessee, since it 1982, according to the museum's business plan. Graceland, where Presley died in 1977, has welcomed more than 20 million visitors since opening to the public, averaging over 600,000 annually in recent years. Graceland is providing the initial funds for capital improvements and operating costs. The plan says the tours will include studios where Prince recorded, produced and mixed most of his biggest hits, and the soundstage where he rehearsed for tours and hosted exclusive private concerts. Also featured will be thousands of artifacts from his personal archives, "including iconic concert wardrobe, awards, musical instruments, artwork, rare music and video recordings, concert memorabilia, automobiles and motorcycles." Tickets go on sale online only on Friday at 2 p.m. CDT. Standard tickets will cost $38.50, but VIP tours will be offered for small groups priced at $100 or more. Tours will last about 70 minutes, starting every 10 minutes, and each group is expected to include 25-30 guests. Graceland officials expect 1,500 to 2,000 guests on peak days. No walk-up sales will be allowed. The plan requires rezoning approval from the city, which posted documents about the plan its website. The planning commission hearing is scheduled for Sept. 20 and the City Council will consider it Oct 3. "Chanhassen will be pleased to demonstrate to the thousands of visitors to Paisley Park the same hospitality and respect that Prince enjoyed during his time in Chanhassen," Mayor Denny Laufenburger said in a statement. Prince, 57, left no known will. The judge overseeing the case has not ruled on who his heirs will be. But court filings indicate they'll likely include Tyka Nelson and five half-siblings because Prince was divorced, his parents are dead and he had no confirmed children. Bremer Trust said the family supports the museum plan. The court has not ruled on whether a woman and girl who say they're Prince's niece and grandniece are entitled to share in the estate, which Bremer Trust has said could be worth up to $300 million. The criminal investigation is continuing. Some of the pills taken Paisley Park after his death were counterfeit drugs that actually contained fentanyl - a synthetic opioid 50 times more powerful than heroin, an official close to the investigation told The Associated Press on Sunday. The official, who spoke on condition of anonymity because of the ongoing investigation, said records show Prince had no prescription for any controlled substances in the state of Minnesota in the 12 months before he died. 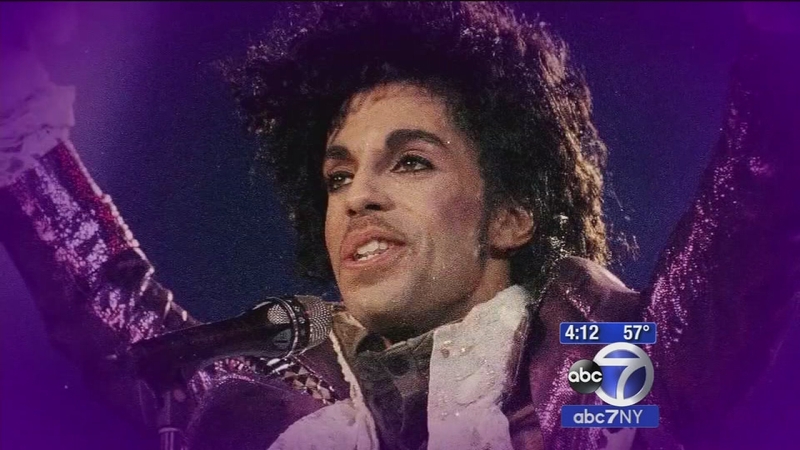 Authorities are still investigating how Prince obtained the drugs.